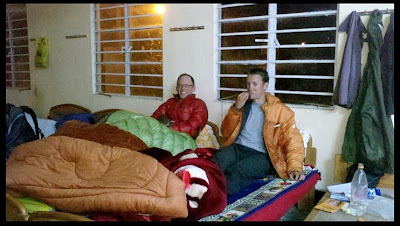 Himalayan Odyssey 2011 - Update - Not so bad . . . Killing time in Sikkim. Photo from Eric's Facebook post. The latest news out of Sikkim is good, relatively. The guys are comfortably under house arrest. They have been ensnared in a kind of "catch 22" bit of red tape, but they are optimistic about the final outcome. For a complete update see this XC article with the latest info. It clears up the timeline and shows the complete lack of intent by these two pilots to flaunt the laws of the area. http://www.xcmag.com/2011/03/himalayan-odyssey-pair-bailed/. Himalayan Odyssey 2011 - Update - Arrested ?! The news out of India is a bit disturbing. According to the Telegraph, out of Calcutta, Eric and Brad have been arrested in the small, land-locked, Indian state of Sikkim. According to the article in the Telegraph, the guys, "were arrested yesterday in Sikkim for travelling to the strategic border state without the inner-line permits mandatory for foreigners. The two had valid passports and visas for entering India. Preliminary reports suggest they flew in without the permits because of a misunderstanding." With officiousness, that is endemic in India, "The foreigners were found roaming in a bazaar in Uttarey, a town in West district in Sikkim. They were picked up by the police after they failed to produce the permits. 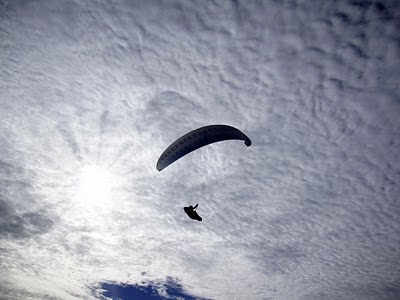 Deputy inspector-general of police N. Sridhar Rao said the two Americans had used paragliders to sail into Sikkim and had landed on the flat terrain of Dhaap, near Uttarey and close to the India-Nepal border, on March 14." . . . They have been charged under the Foreigners Act for not carrying documents necessary to enter restricted areas in the country. Police officers said that if convicted, they could be jailed between two and eight years and/or fined Rs 10,000 to Rs 50,000." So - The guys have set the bar exceptionally high, by flying from Himachal Pradesh, across the length of Nepal to land in the land-locked Indian state of Sikkim. In doing this epic feat the pilots, who have valid Indian Visas, failed to check in for permits at check-posts at Rangpo or Melli. These border check-posts are on roads - not an option for those who chose to vol biv through the Himalaya. . . What's an adventurer to do? Let's hope this, like most official SNAFUs in India, can be remedied with a simple monetary transaction. And please don't let this minor bureaucratic hurdle eclipse what they have accomplished. It's impressive - It's inspiring - and I'll be the first to pony up $100 to bail them out of the Indian hoosegow. 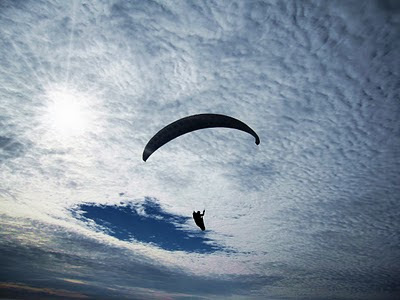 At this very moment, a couple of paraglider pilots are doing something special. They are truly exploring areas of Western Nepal that have not been seen from their perspective - or with the degree of difficulty. I knew Bay Area pilot, Eric Reed was headed to India for the trip last month, but I had not stayed on top of events because frankly, these guys aren't the 'PR' kinda guys. 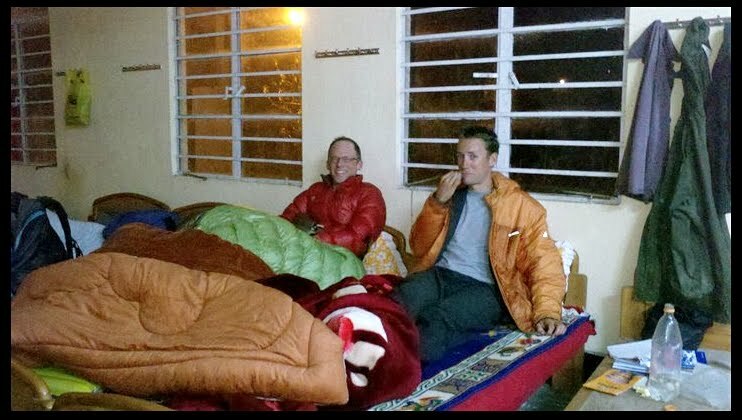 I tuned in today to find that Brad Sander and Eric are the only pilots continuing East on their quest to "Vol Bivouac" from Himachal Pradesh, in Northern India, across Nepal to Pelling, Sikkim, India. I can (and do) only imagin the amazing scenery and epic struggles as they fly-hike-camp-repeat their way across the most imposingly beautiful terrain on the planet. The live-tracks are using SPOT units to broadcast position information. I am very glad to see that these units are working reliably in obviously extreme conditions. I recommend SPOT units for anybody flying XC. Good luck Brad and Eric! I'll buy the beer to lubricate the best stories this summer. Fun Day at Cayucos - We had a fairly strong East until 1PM then it came in from the ocean with some convergence. I launched early and paid for it with a short extended sled-ride. Jack launched a bit later and got teased with some lift along the highway. I drove Jack up to his car and decided to fly again. The winds were much brisker and Northy. I launched and got hammered until contacting some good convergence over highway 1. After 40 minutes or so of flying along the shear zone, I landed on the beach. As I came in for landing, Buzz caught me with his camera. Thanks for the cool shots Buzz!